BIRD BATH - 2-3/8" tall, hydrocal with resin 'water'. 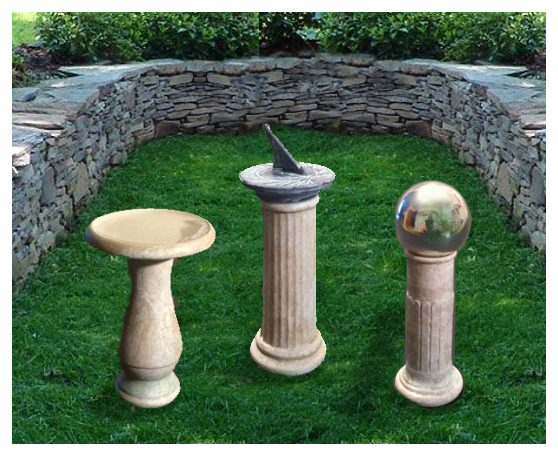 SUNDIAL - 3-1/4" tall, hydrocal with resin sundial plate. GAZING BALL - 3' tall, hydrocal with glass ball.